At Handy Flowers we believe there should be a fresh and perfectly crafted bouquet, arrangement or gift basket for every need and every budget. Our professional and creative staff will offer you valuable suggestions and excellent design alternatives in order to meet your every design desire. Order from us and our expert West London florists will make a gorgeous arrangement quickly and arrange for prompt flower delivery. So no matter the time of day or night, you flowers are safe in our experienced hands. From special occasions to a "just because" bouquet, we will ensure you have everything you need. Order now! Our expert florists always strive to create and craft the perfect arrangement to suit your needs. With years of experience under their belt, our team know how to make the most marvellous flower creations. We want our clients to be able to afford our flowers, that is why we deliver cheap flowers of excellent quality in West London. We will give you the best prices on flowers and design a flower arrangement suited to your exact specifications. No matter the budget or design style, we at Handy Flowers promise to provide you with the most splendid flowers, for the least amount of money. Order from the most dependable florist in West London and you will be delighted with the result! From a simple bouquet to magnificent wedding arrangements, funeral baskets, and sympathy flowers, our team can create the perfect arrangements for any occasion and any budget. We also offer next day flower delivery in West London, so no matter how quickly the need for a floral arrangement arises, you will have it done to perfection and delivered on time. We will always work with you to create a floral arrangement that accommodates your needs and creative wishes. If you want a custom-made flower arrangement, we will do our utmost to satisfy your floral needs and handle the flower delivery on time. When it comes to sending flowers by post, we as a local florist know it is important to create impeccable arrangements for every occasion. We also understand the importance of delivering that arrangement as quickly as possible. If you want to send flowers at short notice we the flower shop to use. We provide our customers with a reliable next day flower delivery and deliver flowers by post to any area in West London. It is easy to send flowers online via our website. Just choose from a plethora of marvellous flowers and floral displays, and we guarantee it will be created exactly the way you want it to be. Every occasion needs something special to boast how important it is. From birthdays and anniversaries to holidays - every event requires a little something special to say "wow". But we also know how difficult it can be to pop into your local flower shop in West London and select the perfect arrangement, which is why we offer the option to send flowers online. Pick out your chosen arrangement, and then select the option to send it to your special someone. With a simple click of a button you can order flowers online at any time. Place your order with Handy Flowers now and our florists will have it on the van and sent out for flower delivery as quickly as possible. 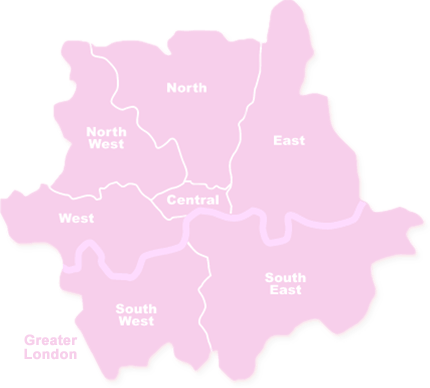 West London is one of the sub-regions of Greater London and consists of the London Boroughs of Hammersmith and Fulham, Brent, Harrow, Ealing, Hillingdon, and Hounslow. London Heathrow Airport is located in the area; it is one the major employers in West London. More than 47,000 students study in University of West London. The attractions visited by tourists are Portobello Road, Leighton House, The Serpentine Sackler Gallery, The Idler Academy and The Tabernacle Notting Hill. Chiswick House Camellia Festival and Notting Hill Carnival are the most famous festivals and events that take place in the area.